This is a recipe for Beginners. A Step by step instructions on how to make the perfect uttapam or dosa batter. 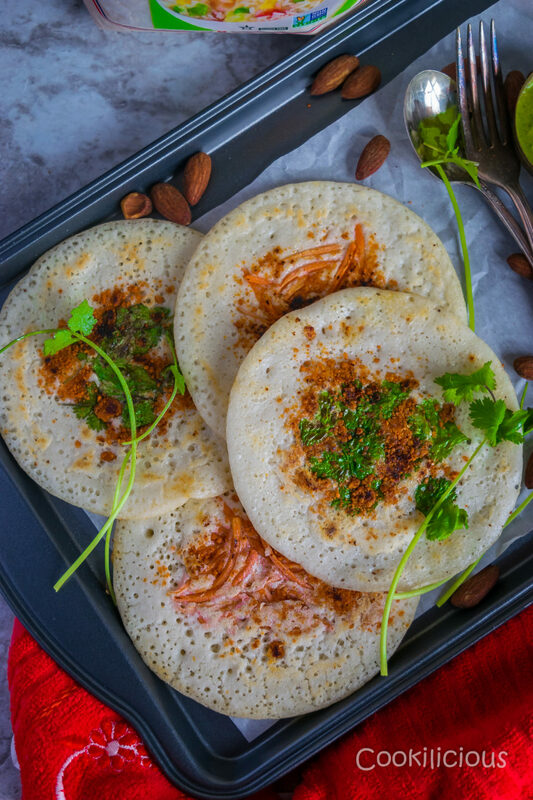 Dosa/Uttapam is a traditional South Indian crepe/pancake made from fermented rice and lentils batter. It is nutritious and delicious. A quick breakfast on busy days. If only I had a nickel for every time someone asked a South Indian (like me/my mom/my MIL) for that perfect dosa/idli/uttapam recipe, we all would be millionaires by now. In my opinion, dishes that come from a certain culture are perfected by those who are part of that particular culture. Dosa in that way is indigenous to South India and we South Indians take a lot of pride in that. We also claim to have the best recipe w.r.t ingredients and proportion when it comes to preparing the idli/dosa batter. Almost all the time the recipe is handed down in the family and we all stick to it. Its like basics of cooking for us. The recipe that I have has been followed for generations. My mom, her mom and so on and so forth. The recipe has not changed a bit, however over time, atleast I have experimented with the ingredients here and there. While they all have been successful, nothing beats the original recipe. Dosa is made from a fermented batter and is similar to a crepe in appearance. Its main ingredients are rice and black gram. Why is dosa considered nutritious? 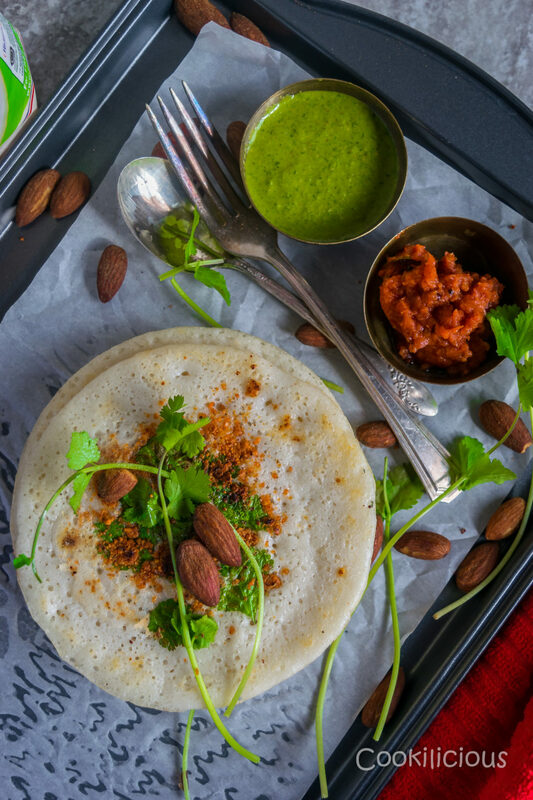 Dosa is high in carbohydrates and contains no added sugars or saturated fats. As its key ingredients are rice and urad dal, it is also a good source of protein. The process of fermentation increases the vitamin B and vitamin C content. Its served hot along with sambar, stuffing of potatoes and chutney. It can be consumed with idli mulagapudi as well which is my most preferred combo. I prepare this batter almost every week. Lot of you have written to me asking for a foolproof dosa batter recipe. Even on my Instagram stories, I keep getting requests to share my dosa batter recipe. While I have shared in some dosa recipes before, I thought its better to dedicate a post only for this. So here is my family recipe all out in the open just for you. 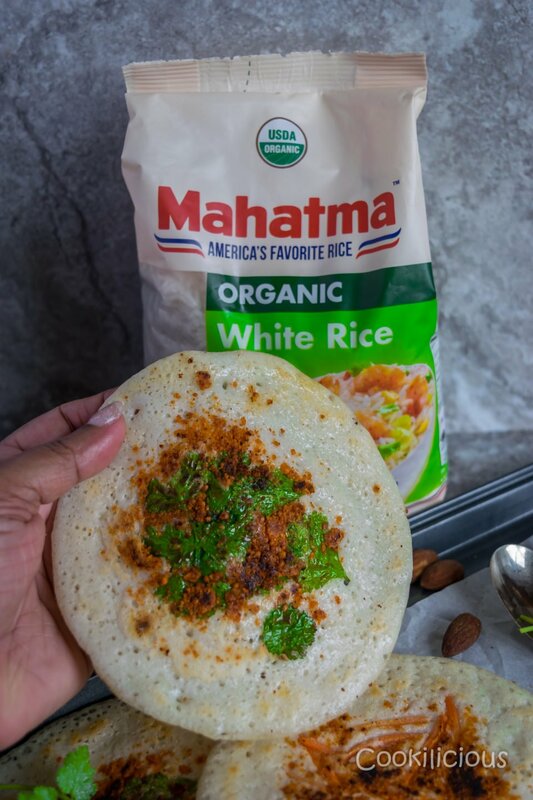 Getting the right rice in India is easy, but having moved to the US, I took some time to find the right kind of rice to make the perfect Dosa batter. 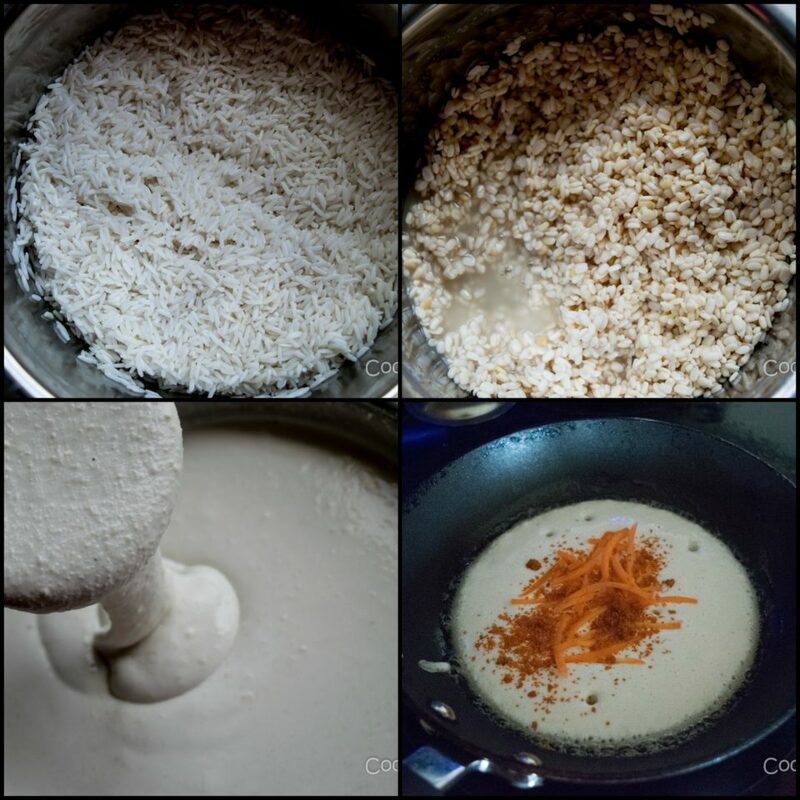 Mahatma Organic Rice is one of my ideal choice for this recipe. You can use their convenient store locator by clicking on this link to search for the product you want. Riviana Foods is America’s leading rice company and the nation’s second largest provider of pasta products. 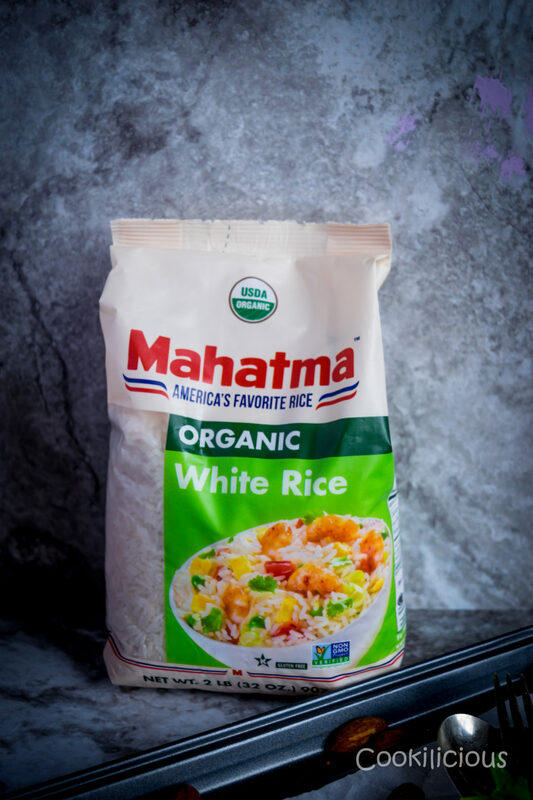 Their portfolio includes over 20 trusted brands with more than 500 products widely distributed in many countries around the world including Mahatma Organic Rice. Wash and soak Mahatma Organic Rice in water overnight. In another vessel, wash and soak urad dal and methi seeds, overnight. The next day, drain the water from both the vessels. First grind urad dal and methi seeds to a smooth paste. Add water as required. Empty it in a vessel. Then add the soaked rice and grind it to a smooth paste. Add water as required. Transfer it to the same vessel that has the lentils paste. The consistency of the batter should be thick yet flowing, like pancake batter. Add salt and cover the vessel. Leave it to ferment for a day. The dosa/uttapam batter is now ready to use. Normally, one would heat a griddle and pour a ladle of the batter on it and spread it in a circular motion forming a thin circle. Smear a little oil around it. 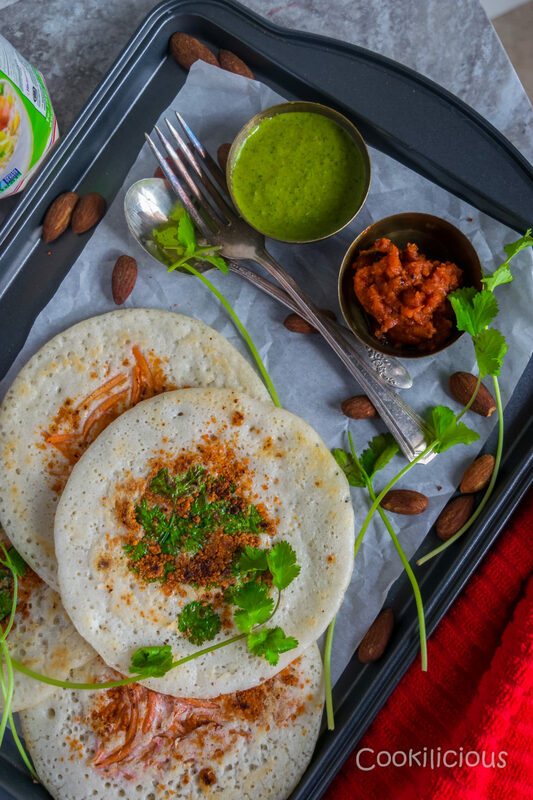 Cook evenly on both sides and serve immediately with coconut chutney and sambar. However, today I wanted to make bite sized appetizers for the big March Basketball Tourney! So I decided to make mini uttapams with the same batter. Pour batter in each mold and then you can get as creative with the toppings as possible. Add chopped carrots, bell peppers, broccoli, onions, spinach, mushrooms, etc on top, cook both sides and serve them. If you do try this recipe, please do share it with your friends on Facebook, Twitter and Pinterest. This will keep me motivated to develop more interesting recipes. Click a pic and post it with the hashtag #cookiliciousveg . I would love to see your pictures on Instagram, Facebook and Twitter! Wash and soak Mahatma Organic Rice in water overnight. In another vessel, wash and soak urad dal and methi seeds, overnight. The next day, drain the water from both the vessels. First grind urad dal and methi seeds to a smooth paste. Add water as required. Empty it in a vessel. Then add the soaked rice and grind it to a smooth paste. Add water as required. Transfer it to the same vessel that has the lentils paste. The consistency of the batter should be thick yet flowing, like pancake batter. Add salt and cover the vessel. Leave it to ferment for a day. The dosa/uttapam batter is now ready to use. Now heat a griddle and pour a ladle of the batter on it and spread it in a circular motion forming a thin circle. Smear a little oil around it. Cook evenly on both sides. Serve immediately with coconut chutney and sambar. This recipe is vegan and gluten free. 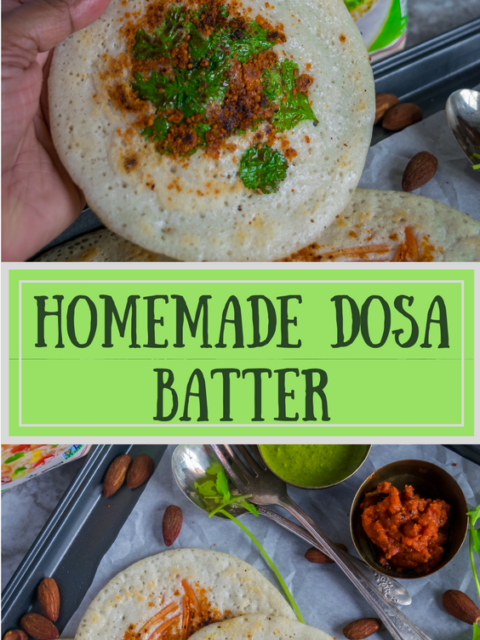 Now that you know how to prepare dosa batter, you can also make idli using the same batter. However for that the batter needs to be more thick. So add less water while grinding the rice and lentils. 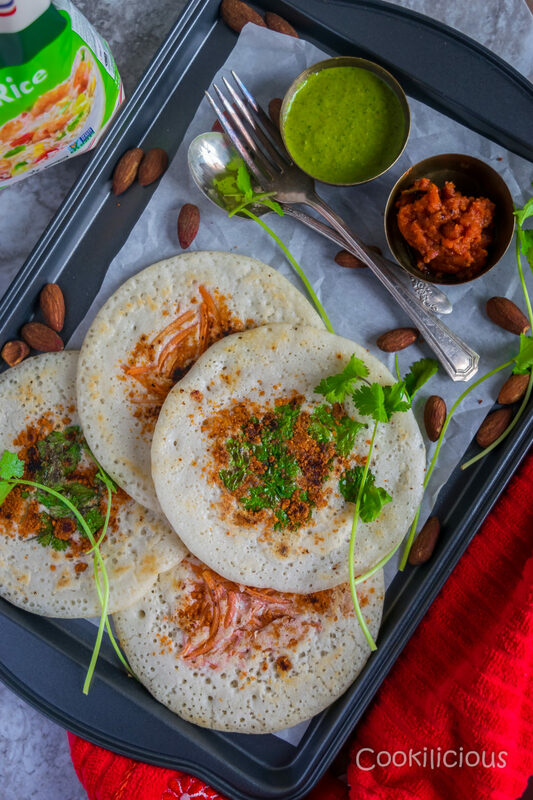 Some dosa varieties that you can try using this batter as base are Instant Carrot & Oats Dosa/Crepes, Masala Dosa with Sweet Potato Filling, Masala Dosa with Tomato Almond Chutney, Chettinad Kuzhi Paniyaram Recipe, Mini Masala Idli and Chutney Dosa with Tomato & Almond chutney.